Monte Carlo Weekly Photo: Fire! Only kidding. There was no fire. 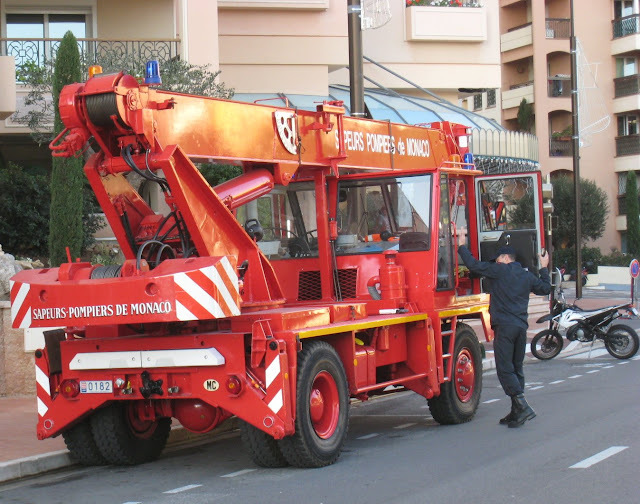 I really don't know why the fire truck was here - in Fontvieille, opposite the circus tent. The apartment buildings are on land reclaimed from the sea. Do all little boys want to be firemen when they grow up? I don't think all boys do. Mine wanted to be policemen and one wanted to become a cartoon artist, but they didn't do either of those. this is the city of monte carlo not the hotel.